Has there ever been a time when a new release of a Doctor Who story has been completely overshadowed by 25 minutes of different content in the set? I think this release certainly has that going for it in some way. Back in December of 2011 we were all shocked with the amazing news that two previously missing episodes of Doctor Who had been found. One of those episodes makes its debut on this DVD set. This release has been met in fan circles by both joy and disappointment because some fans feel that they are forced to buy a re-release of a story to be able to see a previously unreleased episode. Is this the case? I don’t feel that way. Maybe I am one of those mindless sheep that just goes with the flow when it comes to buying Special Editions but I love owning episodes of Doctor Who. While many fans were satisfied with recording a copy off PBS, I strived to find copies of episodes as close as quality to the master as possible. Everyone’s experience and reason for collecting Doctor Who is different which makes hearing everyone’s story fun but for me it is all about getting episodes in the best possible quality. 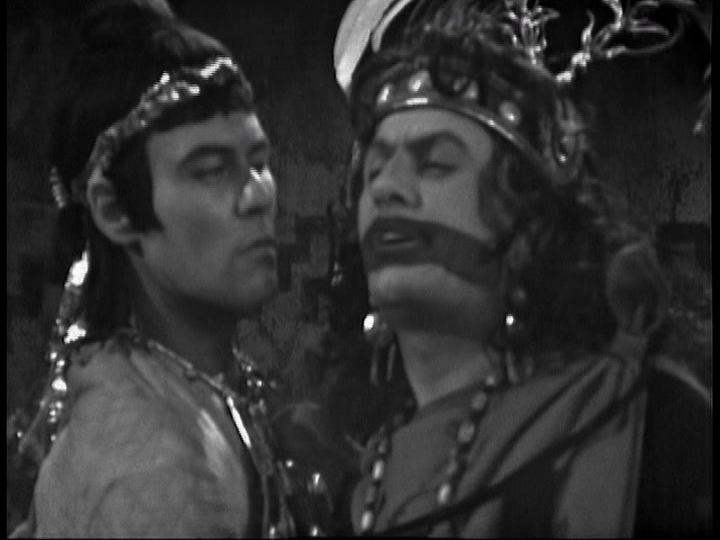 If the BBC offered us a chance to buy uncompressed MOV files (roughly 25gb per episode) of episodes that are the same quality as the source material, I wouldn’t think twice about buying them. I want these in the best possible quality. As time goes by technology changes and evolves which gives way to new processes to restore these episodes. I think some fans feel that it’s the BBC “screwing us over” because they know we will buy anything. I do not hold this view. I feel that the stories that are getting the Special Edition treatment are coming in line with the majority of the restoration of the other stories already available. When this DVD line is complete, these stories will all have basically the same quality and scope of restoration done with technology all from the same time. When The Aztecs was originally released in the US in March of 2003, the DVD line was still in its early days. 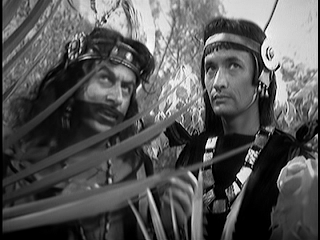 The Aztecs really stood out as it was the first story to be released on DVD to use the VIDfire process. VIDfire is the way of making the film prints of this story (the source material used to restore this story) to adopt a video look to it which is how it would have looked on transmission. This invention was very exciting. There were a lot of theories going around at the time wondering how well VIDfire would look on a DVD and if black and white stories were suitable for DVD at all. Of course it was a bunch of garbage because now 10 years later, we are nearing the end of the range with virtually all of the black and white material being released all restored from the ground up. That is an impressive body of work. 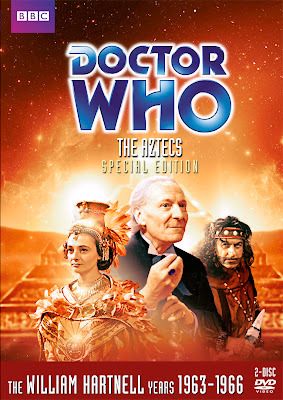 Now if you are reading this and have not seen The Aztecs before, first of all if you purchase it make sure you buy the Special Edition and not the one that has just one disc. The cover should look like the one at the top of this article. Secondly, if you haven’t seen it you are in for a treat. The story starts off with the TARDIS already landing in the tomb of an Aztec High Priest Yetaxa. 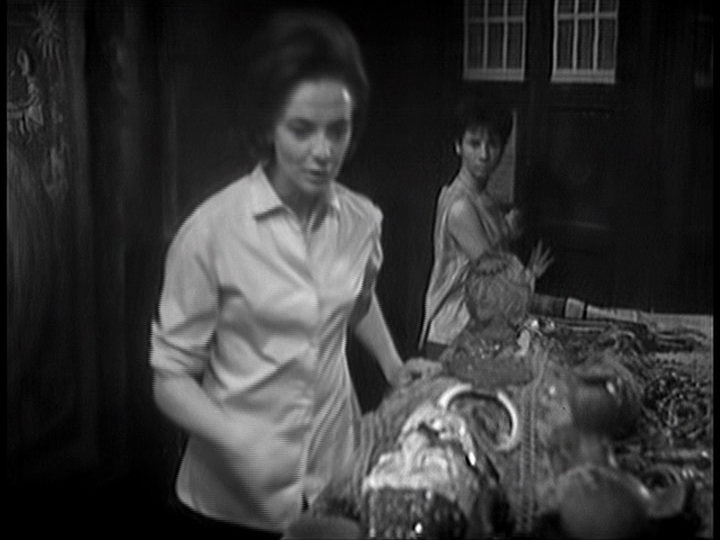 At first, Barbara and Susan are the only ones in the tomb with Ian and the Doctor still in the ship. While talking about how excited she is to be in this period, Barbara slips on a bracelet that belonged to Yetaxa. 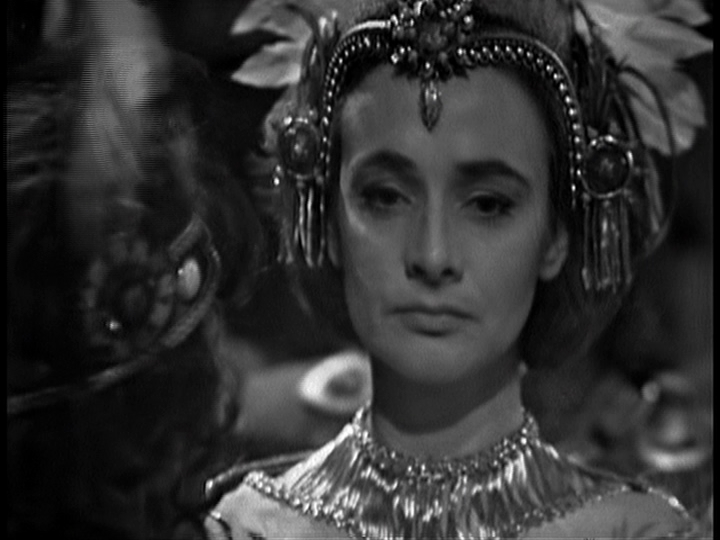 Barbara makes her way out of the tomb and is apprehended but they see the bracelet she is wearing and she is believed to be the reincarnation of Yetaxa who is now a god. When the Doctor, Ian and Susan catch up with her, Barbara is in very formal ceremonial garb which befits her status as a god. The Doctor explains to Barbara the problem they face: they got out of the tomb but there is no way back into it. The TARDIS is still in the tomb. They can’t escape. 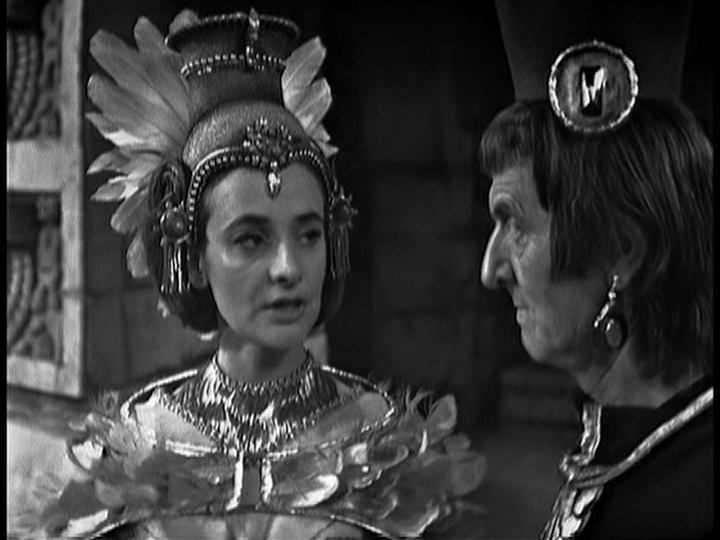 The plan is to keep two high priests believing that Barbara is Yetaxa while the Doctor does some research to find out how they can all get back into the tomb. The two high priests are Autloc who is the High Priest of Knowledge and Tlotoxl who is the High Priest of Sacrifice. Autloc believes so strongly in Barbara as Yetaxa that is faith is ultimately put into question. Meanwhile Tlotoxl is scheming from the start. 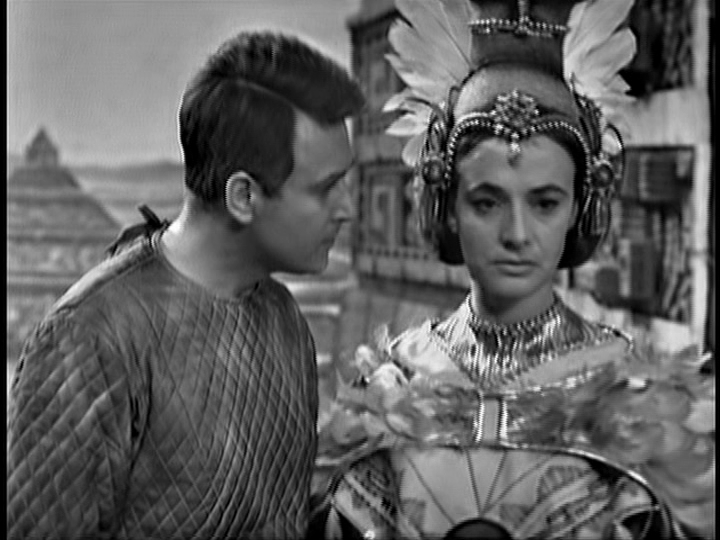 He soon starts to question Yetaxa’s validity as a god even before Barbara acts foolishly. Barbara is a good person who was a school teacher from the 1960s. Suddenly she is faced with not only being revered as a god but because she has a kind heart wants to put an end to the Aztec practice of sacrificing people to their gods. This does not go well. Autloc is open-minded but Tlotoxl starts to decry her as a false god. Barbara has made an enemy. This is where she has put everyone in danger. The Aztecs was the second historical story. 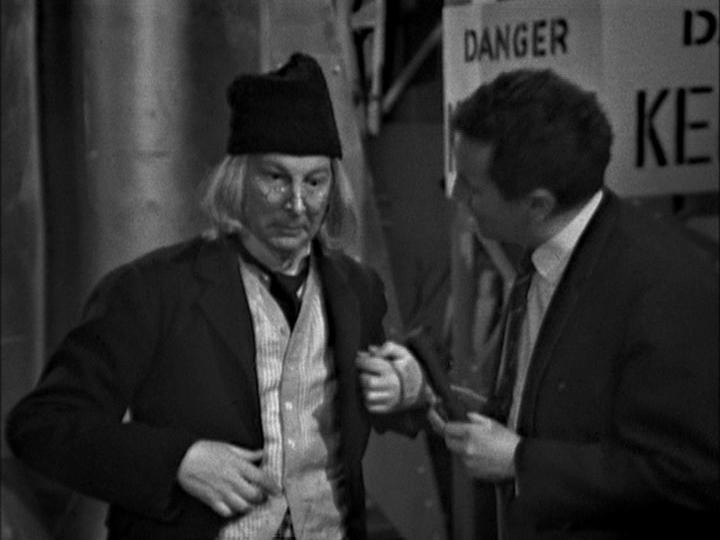 I don’t count the last 3 episodes of An Unearthly Child since that is a story that takes place in the past but, to me, not a historical. Marco Polo was the first and was written by John Lucarotti. John also wrote this story. I think he excelled well with these historical stories. The one thing that frustrates me every time I watch it is that even though the time-traveler’s lives depend on fitting into the Aztec civilization until they can find their way back into the tomb, they have a problem with accepting the Aztec culture. I guess I am really thinking of Barbara and Susan. Now, Barbara is a different story. She felt that she could use her standing as a god to change the Aztec civilization and the course of history. 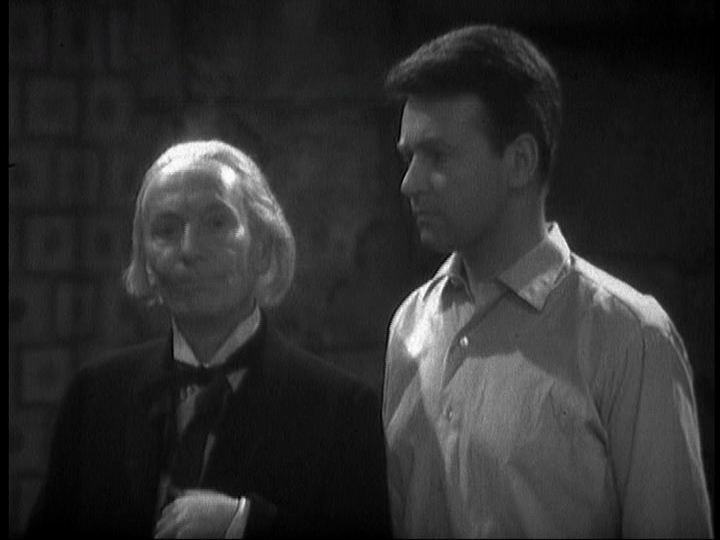 This is when the series made a stand about the Doctor and his companions going back in time but cannot interfere. 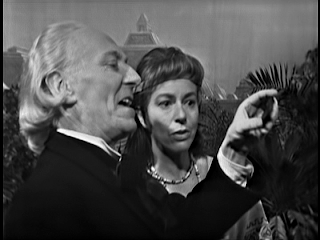 There is the famous scene with the Doctor pleading with Barbara to not take the course she is planning with interrupting a sacrifice before a “miracle” occurs. The Doctor explains to her that she can’t change history, “not one line of it!” It is fantastic and powerful scene as even when he explains it to her, she doesn’t listen. Susan is a little more puzzling. When she is in the seminary learning about the Aztec laws she is very rebellious. When she finds out about how women meet their future husbands once before marriage, she condemns it. When she is told she is going to marry the Perfect Victim, she is upset (obviously) but even when Autloc says he will try to help her, she calls him a monster. I know she is a teen but she is a far more advanced teen. They could have avoided a lot of aggravation if they would have tried to fit in better and keep low. Granted, that would probably bring the story down to one episode. 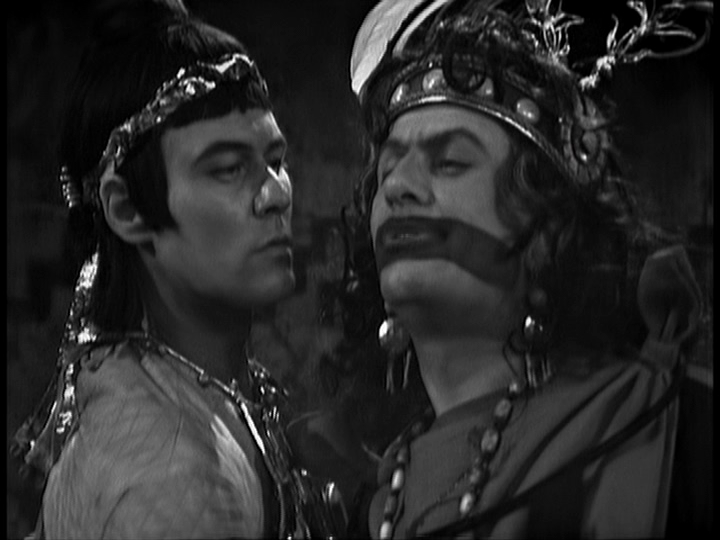 Apart from the regular cast, in my opinion the stand out performance goes to John Ringham as Tlotoxl. As I mentioned earlier, he schemes a lot and manipulates people to do his bidding. 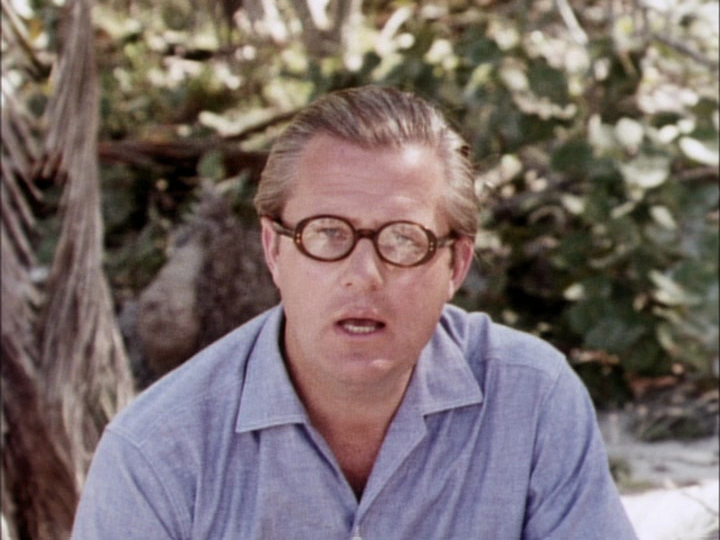 This being more of a family series in the 1960s, we don’t get the grandeur of how creepy his performance could have been. Tlotoxl could have been an unnerving character because of all the deaths he has overseen. In fact in the production text, it talks about how the script describes him with ratted hair and blood stained garments. I think that is all there but I wonder what a darker Tlotoxl could have been like? I wanted to touch on the quality of this disc in terms of The Aztecs. If you are a new fan of the series that has not seen much of the older series yet maybe caught this on BBC America in January, please note that what they showed was not a restored version. It is very similar to what was released on VHS in the early 1990s. Back then they would put whatever version was most accessible to them on VHS and release them. Now, the process is to go back to the best source material possible and do a restoration from the ground up. What was shown on BBC America looks nowhere near as good as what is on this DVD. It’s really too bad there was no way for BBC Home Entertainment and BBC America to work together to have some sort of advertisement to this coming out or something about the DVD/Blu Ray range in general during these showings. 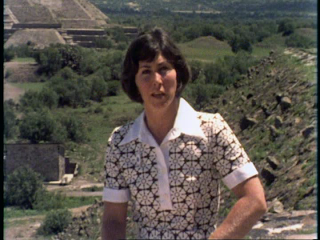 The Aztecs was remastered with the most current restoration and video tools available. VIDfire itself has been improved since the original disc was released. Episodes 2-4 look great. It has a strong video look with the blacks looking very deep. Everything is sharp and I think there is a great improvement. The credits are fixed as the font used in the original release was too thin. Episode 1, The Temple of Evil, really doesn’t look great to me at all. I e-mailed someone about this for their opinion and as I told him, I am going to contradict myself in terms of describing what I am seeing. There is a lot of artifacting in the first episode yet in some places it looks almost smeary. 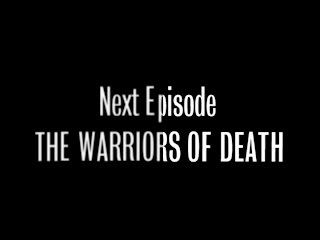 The episode, to me, just doesn’t look good. Sometimes it almost looks like there is some ghosting too. 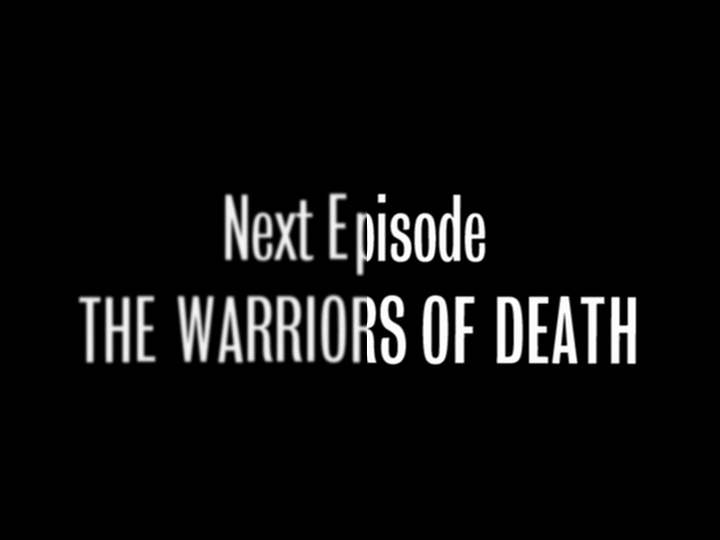 It’s almost like there is an encoding error for just that episode alone. The Temple of Evil doesn't quite look right to me. Now I was reminded that the first five minutes of The Temple of Evil is from a dupe print. This is significant because wherever possible The Unofficial Doctor Who Restoration Team goes back to the original negatives. Negatives for the whole story exist with the exception of the first 5 minutes of the first episode. So I went back and watched it again and it still doesn’t look great past the 5 minute mark either. This was viewing it from my HD set. Then I looked at it from my SD set. It looks fine on there but SD hides a lot of those blemishes. Maybe other people won’t notice it but it really stuck out for me. It’s not often that an episode of Doctor Who gets released that has never seen a release of any kind before because it only was found just over a year ago. To read the story about it, go here. Since its recovery there have been a lot of questions about how Air Lock was going to be released. Many had wondered if secret plans were afoot to animate the other 3 episode. At the Gallifrey convention in LA this year, Dan Hall mentioned that there were thoughts about making it available on iTunes. I personally am not a fan of that and I am glad that the decision was made to include it on this disc but as I said at the beginning of this review, it was a little controversial but that is not the only time Galaxy 4 has been controversial for the DVD range. Back in 2008, when the R1 DVD of The Time Meddler was released, we found out that an extra was commissioned but never used that was meant to be on that disc. It was a cut down reconstruction of Galaxy 4. This was done by Derek Handley who works on the Telesnap Reconstructions for the group Loose Cannon and he provided the cut down reconstruction for Marco Polo on The Beginnings set. If I recall correctly it wasn’t released because it was felt that fans would not accept reconstructions when animation could be done. This is possible yet not a view held by me. 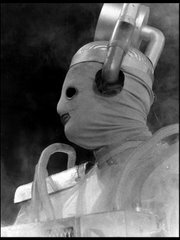 Shockingly and uncharacteristically for Doctor Who fans, many were more upset about what they didn’t get on that release opposed to appreciating what they had. Obviously I am generalizing but some people had never forgotten about this reconstruction omission. 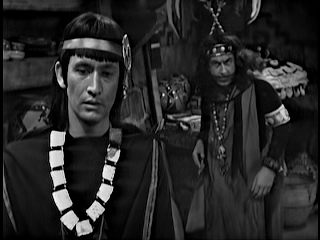 It was decided for the release of The Aztecs to include the recently found episode Air Lock and include a cut down of the cut down reconstruction. It makes no sense to have anything from Air Lock in it since the episode is right there too. The way it is presented on the disc is not how I would have done it. On the menu of the second disc, the first choice is Galaxy 4. Choosing this starts the reconstruction. When it gets to the end of the second episode it goes into Air Lock and when Air Lock is done it goes into the final episode. It’s all one program. Air Lock can be accessed with forwarding chapters on the recon but you are unable to just pick Air Lock from the menu. I am sure I am being picky but I would prefer an option to be able to just watch Air Lock. The quality of the restoration to Air Lock is superb. It is hard to put words to it since it follows the same quality of other releases. It is fantastic. I love Galaxy 4 as a story plus Air Lock was the one I really wanted to see if any of the episodes from that story would be found. The director, Derek Martinus, has these great crane shots that start over the actors and lowers the camera down to the action. 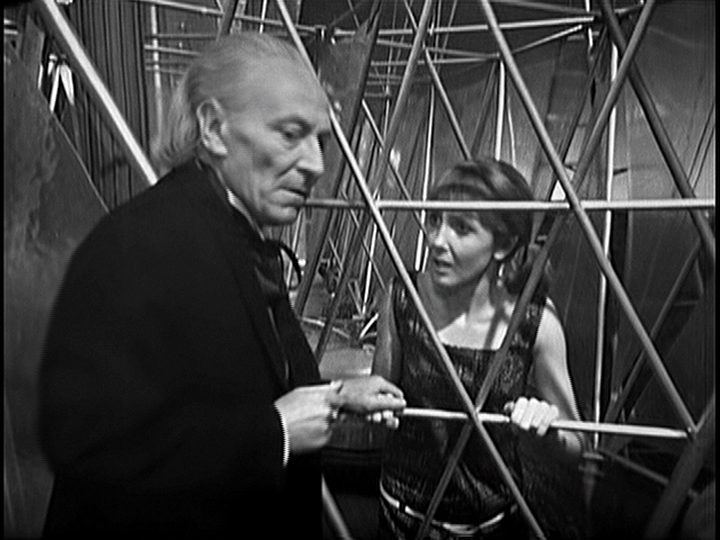 William Hartnell is in tremendous form here. He is engaging and fun. This is a treat to watch. 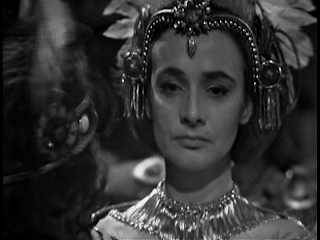 I think the biggest surprise for me when seeing the episode for the first time is that when the Rills tell the story of how they and the Drahvins crash land on the planet, it is told in a flashback sequence from the perspective of the Rills with Maaga killing one of her own soldier. Even more amazingly is that the soldier was bleeding profusely from the crash. In the audio, I just thought the Rill was telling the story to Vicki and the Doctor. I had no idea it was a flashback. The print that was found was missing the last few minutes of the episode. This needed to be reconstructed using some of the previous footage on the same sets from earlier in the episode. The end result is not bad but the version I had seen from last year had it done a different way which I feel was more sympathetic to the style of how it would have been done in the 1960s. I know it sounds like I am complaining but I really am not. Work has gone into this to make it the best it can be and I am thrilled we have the opportunity to watch Air Lock. This is a great 1960s story and I still cannot believe I can watch one of the episodes now. As I mentioned above there is a reconstruction that comes with it. I think people can either take or leave reconstructions. I love them. It is very easy to dismiss them because how crude they can sometimes look but there is a ton of work that goes into these. For Galaxy 4, there are reference materials but nothing as helpful as telesnaps. If you are unfamiliar with telesnaps, go here. Virtually every scene in this reconstruction is a composite shot made up from existing materials from other episodes. For every shot of the Doctor used, Derek needed to find the shot that conveyed the look and emotion of that one line. Yes, I said one line. I have a deep respect for people who make these. It is a labor of love. I have a close friend who used to work on these with a team of other people. There is a lot of detective work to get one shot of a scene accurate. There may be a lot of debate between the team members because the answer may not be so obvious. I had a go myself once and it was daunting. This is a great reconstruction. It even has CG Rills. Of course, it’s academic since if you want to see Air Lock, you will need to watch some of it. Audio Commentary: This is a feature that was ported over from the original release. This commentary brings us William Russell, Carole Ann Ford and Verity Lambert. This is a great example of how these commentaries are so special. Verity passed away in 2007. I do not watch one of these stories from her time as Producer without thinking about her. Perhaps it was because her passing was a shock for me at the time but also I am so impressed with how much Sydney Newman believed in her for this job and what a strong woman she was in a field that was primarily dominated by men. Remembering the Aztecs: From the original release. It’s an interview featuring John Ringham (Tlotoxl), Walter Randall (Tonila), and Ian Cullen (Ixta). 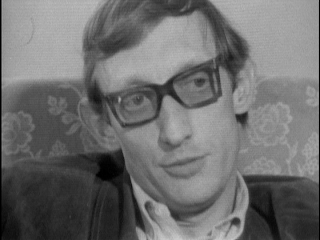 This was among the early days of adding extra content to the range such as interviews. Perhaps not as “fancy” as some of the more recent efforts, these are strong interviews that talks directly with these actors about what they remember from a story made nearly 40 years earlier from the time of the interview. In some ways, I prefer this approach. Also, it is nice to see as John Ringham as he is no longer with us. Designing The Aztecs: From the original release. Designer Barry Newberry discusses the work he did on this serial. Of course now this and the interview extra above would be combined into one large “Making Of” but I like the idea of these being separate. Cortez and Montezuma (extract from Blue Peter): From the original release. How many boys living in the UK in the 1960s and 1970s had a crush on Valerie Singleton? She is great and I will simply watch anything she is in. She is on location for this extract and I love contextual programs, especially from the archive, included on these releases. Restoring The Aztecs: From the original release. It would have been nice to have this updated at the end since this is the restoration feature from the original release. I assume the workflow is the same but even some comparisons between the old restoration and new would be nice but that is for a completest like me. I am sure there really wasn’t much to show. Making Cocoa: From the original release. From the original release. It’s a bit of fluff and fun but not really my cup of tea…..or cocoa! 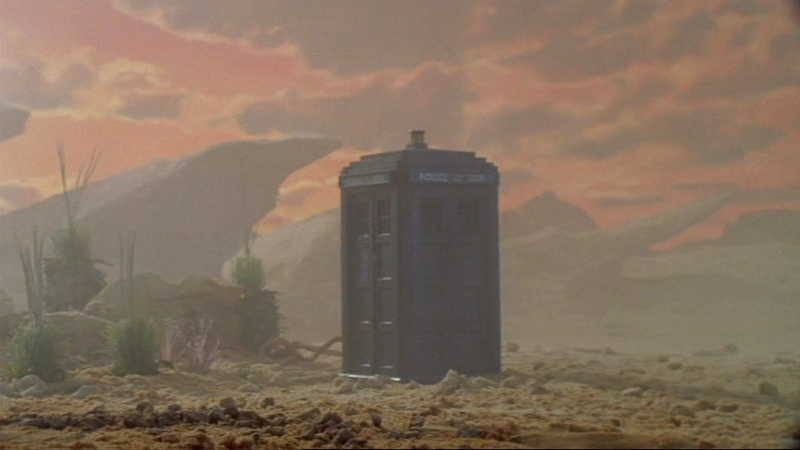 TARDIS Cam #3: From the original release. I never really understood these but they generally done well. This releae also has a brand new set of Production Subtitles. It gives some great references to the Aztecs culture and how some of the design and costumes influenced this production. Plus Photo Gallery and newly added Radio Times Listings which is one of my favorite parts of these releases! Disc 2 has Galaxy 4 on it plus we mostly move away from content from The Aztecs (apart from one) but look at the other content to fill out the disc. Since, in my opinion, Galaxy 4 is the main feature on it the fact that some of these extras are a little random is fine for me. Chronicle – The Realms of Gold: John Julius Norwhich’s 1969 program on the Spanish conquest of Mexico and the Aztecs. Shot on film, it is a fascinating program showing some real nice locations. There is a lot of detail. I mean a lot of detail. It moves slowly as we lumber towards the end of the Aztec civilization yet I love every minute of it. Stuff like this and the Blu Peter extract is very welcome to me. Doctor Forever! – Celestial Toyroom: This new ongoing series in this edition looks at the toys that were released from the start of the series to now. It is hosted by Ayesha Antoine (Dee Dee Blasco from Midnight) and includes a whole myriad of people: Russell T Davies, writers Mark Gatiss, Rob Shearman, Paul Cornell and Joseph Lidster, BBC Worldwide product licensing executive Richard Hollis, product approval executive Dave Turbitt and ex- range editor Steve Cole, AudioGO commissioning editor Michael Stevens, Character Options’ Alasdair Dewar, DWM’s toy reviewer Jim Sangster and Ian McNiece. This is a very fun and affectionate look at the toy range over the years but for me the best was Alasdair Dewar explains the process for making the new line of toys for Character Options. The opening graphics for this series is great and very retro. I have heard people giving Ayesha a hard time but I think she is great. When she is on camera, she stares at me with those deep eyes when she speaks…..ahem never mind! It’s a Square World: I have mentioned how much I enjoy seeing old programs from the archive included on these discs. I have already discussed two and there are two more to go. This extra alone is the worth the price of the DVD. 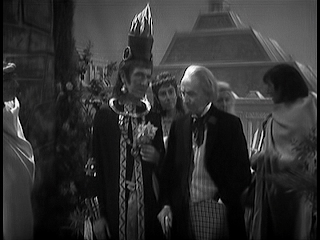 It is the first known comedy sketch to feature Doctor Who. 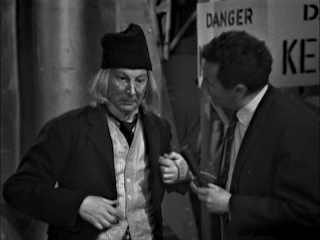 It comes from a December 1963 edition of It’s A Square World starring Michael Bentine and features Clive Dunn (from Dad’s Army) as the original Doctor. It is priceless as the Doctor accidentally launches BBC Television Centre into space. It even has Albert Steptoe staring at the launch in disbelief. I have waited years for this and it’s finally here. I loved every bit of it. 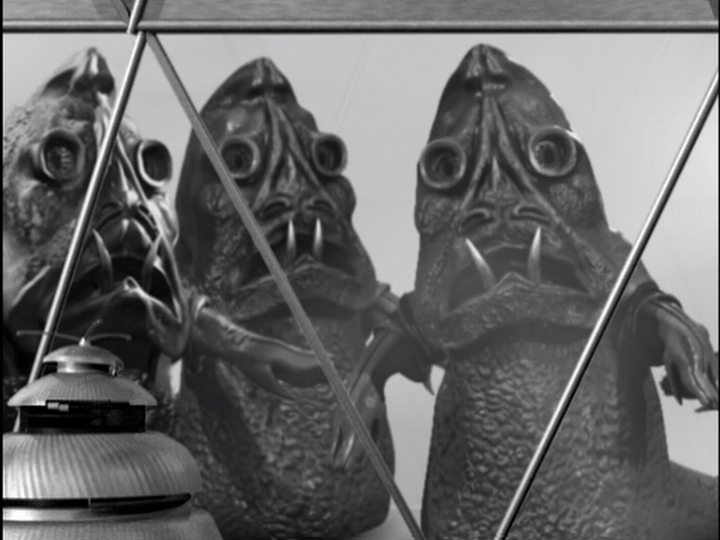 A Whole Scene Going: This is an excerpt of this program that gives us a little behind the scenes look at the filming of Daleks’ Invasion Earth 2150 AD. We get an interview with Gordon Flemyng who directs the film but says he doesn’t need to be in the studio all the time while filming happens! This has nothing to do with The Aztecs but who cares? I want to see this rare archival material and I am glad I did. This new cover is designed by Lee Binding. For the most part it works; the composition is quite nice. It is much improved over the original R1 DVD cover but I still find the original R2 DVD cover which makes Barbara the focal point to be the best. After all, this is her story. As mentioned above, I wish DVD 2 would allow us to access just the episode Air Lock instead of chaptering through all of the Galaxy 4 recon to get to it. I personally am not a big fan of the presentation of that story on this DVD but the content is great. Here are some comparative screen grabs between the 2003 R1 Release and this new set. Click on the image and arrow to the next one to see next frame. On the left the credits in the 2003 and on the right 2013. Much improved! In the end it is up to the consumer to decide if these Special Editions are worth it. Because time has passed, the tools to restore the episodes and the skills of the restorers have improved greatly. It has also given way to some amazing extras. I don’t know how possible a 2 disc release for The Aztecs would have been in 2003 but I know now that I am lucky to be able to own this now. Another great release! Next Review: As soon as my tired fingers can type it up, I will post my review for the Special Edition of The Ark in Space. Then I will post my review for the War World II era murder mystery series Foyle’s War since Acorn Media is releasing a massive 22 DVD box set of the entire series. Great review, Greg - glad you enjoyed the production subtitles. Sounds like a very good release. I have always liked The Aztecs, and I can't wait to see Air Lock. I'm glad you had a chance to read my review. I don't know how you all do the subtitles. That looks like a ton of work. Air Lock looks phenomenal. It's a great release. I think The Aztecs looks phenominal - well worth the second go-around for improved quality. Air Lock looked fantastic as well. My only quibble is that the episode 1 clip lacked the same kind of love. It would have been nice having had a second go-around and vidfired. Having Air Lock as a standalone menu selection would have been nice too. But these are small quibbles to an otherwise outstanding release. Did you notice the issues on The Temple of Evil? I am curious what others thought.